Jack Dorsey, billionaire and co-founder of Twitter Inc (NYSE:TWTR), used his brainchild on Friday, August 15th, 2014, as a medium to cover his march alongside the protesters in Ferguson, Missouri. Having hailed from St. Louis, Jack showed his solidarity with the people of his native state by supporting the march that had been organized to protest the act of police shooting that left one black teenager named Michael Brown dead. It had later turned out that the youngster had been unarmed during the incident and this caused the entire community to resent what seemed to be an unjustified act on part of the law enforcers. Ever since the incident took place, the normally calm town of Ferguson has been as tumultuous as the eye of the hurricane with demonstrators resorting to all possible channels, like signboards, forums and video footages, to express their outrage. 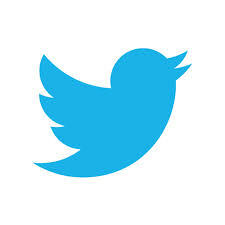 Twitter Inc (NYSE:TWTR) itself has served as live chronicle for many of the participants wherein they have vented out their frustrations and feelings. It has been a window through which the world is witnessing the unrest that has characterized the town since the incident. Jack has been covering the march from a personal perspective and one of the most discerning highlights that have marked his posts have pertained to the involvement of the State Highway Patrol Officer, Captain Ron Johnson, who has been leading the crowds. Another name that appeared in his posts of that of Alderman followed by a comment on Governor Nixon’s decision to impose a curfew in light of the gathering masses. “I know nothing, but this feels like a missed opportunity to trust our people,” tweeted the celebrity who also has another innovative idea to his name in addition to Twitter Inc (NYSE:TWTR) –Square. Since the curfew hour was due to start on Saturday night, Jack played his part by urging everyone to go back to their homes during the evening. In response to the rumors of his having been arrested, he immediately informed that he had not been handcuffed and would be back with updates on Sunday morning. On its part, Twitter Inc (NYSE:TWTR) has once again proved its viability as one of the most potent global media platforms as had been intended by its founders.